What information can I get from the TR-ORCA in real time? The TR-ORCA is more than a simple hydrophone, and more than a simple acoustic recorder. This device not only records and streams raw acoustic data, it also processes this data and makes sense of it for the user. 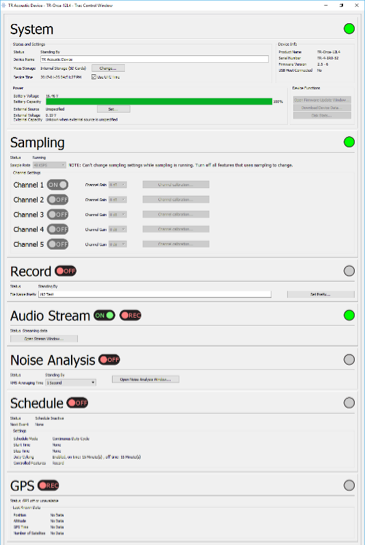 With Turbulent Research’ free TRAC software, users can easily setup their instrument parameters including enabled channels, sampling rates, channel gain, recording schedules, calibration and internal processing. 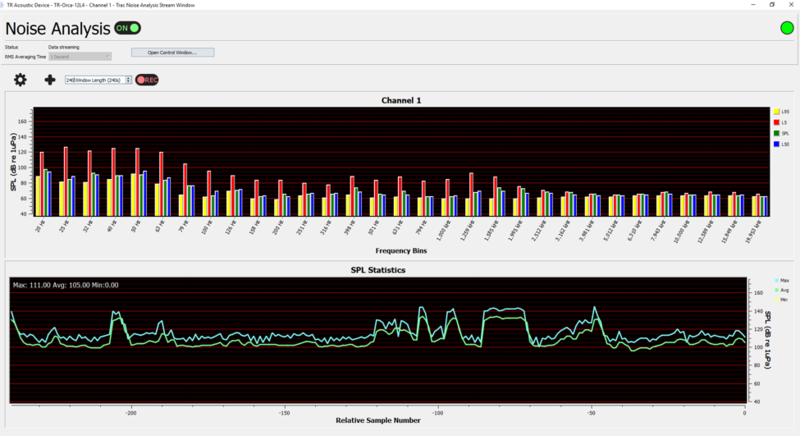 Additionally, TRAC provides a real time portal to the user’s instrument. 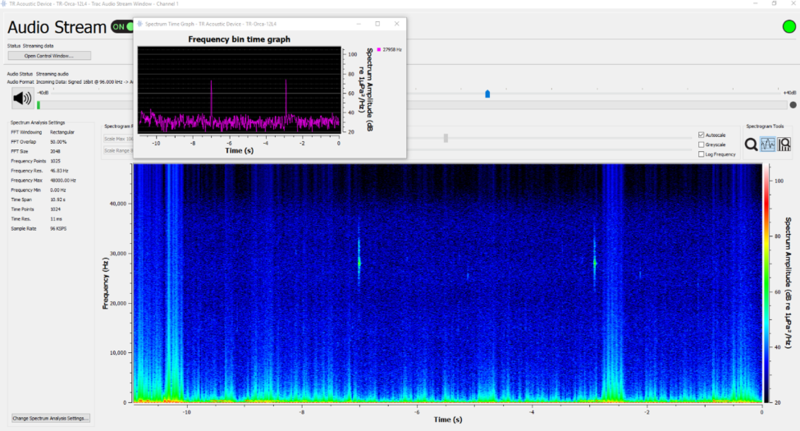 Digital multichannel acoustic data is presented as real time spectrograms, FFTs, time domain plots of particular frequency bins, third octave plots with percentiles, and live, real time audio. TRAC is a free application supplied with the purchase of all Turbulent Research passive acoustic products.